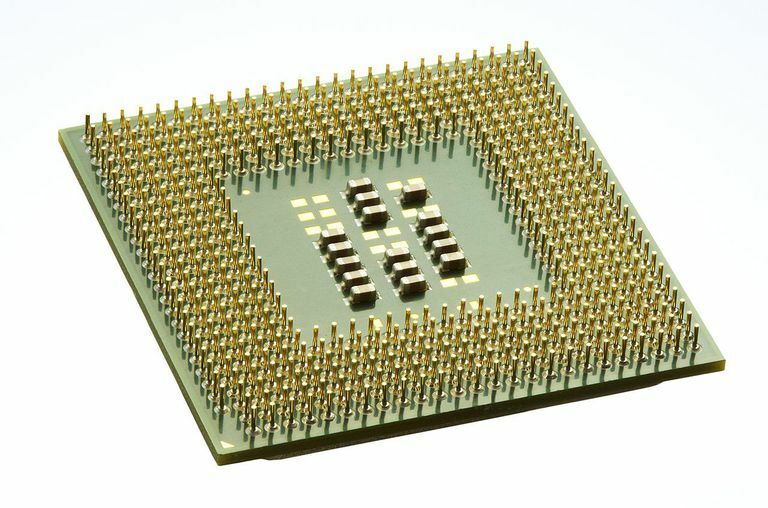 The first specification listed for all computer systems on the market tends to be the processor that is the heart of the computer. Typically it will say the brand, model, and speed rating. Clock rates may be posted but this isn't a good indicator of performance anymore as different product models don't necessarily have the same performance at the same clock speed. This can make it very difficult to determine how good a machine is. After all, one processor running at a specific speed may not run as well as a different model from the same manufacturer with a similar clock speed. That is why I have pieced together this list of categories to let you know how functional each processor is. Before listing the various processor and categories, I wanted to point out that for many people and their typical usage, they don't really need a very fast processor. This has to do with processors offering much more performance than the current software out there can take advantage of. There are still a few computing tasks that consumers might do that merit a higher end processor but I recommend that buyers investigate how fast they really need their PCs to be. Processors that fall into this category are generally no longer in production by the manufacturers and are typically sold in either extreme budget systems or older refurbished systems. Machines with these processors will typically take longer to run an application and possibly might not even run some of the software on the market today. It is best to try and avoid systems with these processors unless you want to use a computer for the very basic functions. These are processors that may or may not be in production anymore by the manufacturers but are very inexpensive and functional. There are typically two types of processors that will fall into this category: older high-end processors no longer manufactured and new low-end budget processors. Discontinued high-end processors typically provide a better bang for your buck functionally. While they may have a slightly lower clock speed, the architecture of the processor tends to allow them to actually perform better at most computing tasks than newer budget processors. These types of processors will often be found in desktop PCs around $400 or so. This is the segment of the market that is probably the best overall value for your computing dollar. While they are not the fastest processors on the market, they still perform very well in all aspects of computing. They may not have the total functional lifespan of the highest end processors, but the price to performance ratio tends to outweigh their longevity. These are typically found in desktops priced between $700 and $1000. If you absolutely must have the best thing out there for your new computer then this is what you want to look at. It will cost you, though. Generally, the most recent processors from the manufacturers come at a price premium of about double that of the middle processors. While the price is over double that of the middle processors, the performance tends to be only about 25-50% more at the best of times from their counterparts in the middle category. Often you will see these in desktops priced well over $1000.